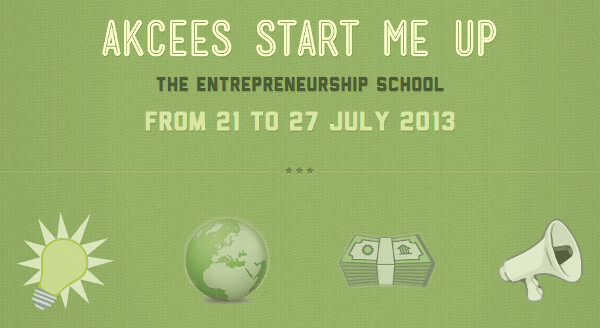 Akcees, a Romanian non-profit organization dedicated to training prospective entrepreneurs, announces the second running of Start Me Up, a week-long entrepreneurship school which will take place from July 21-27 in Predeal, Romania. Tickets are 340 euro, which is not cheap, but not so bad when you consider that it is a week-long course and that the cost includes all-inclusive accommodations at Hotel Speranta (where this school will be held), free mentorship for a year afterwards, have a membership to the Akcees community, and discounts to partner events. Early-bird registration is available prior to July 10th. The full schedule for the program is available on their site, but we are told that the participants will work all week and then present their ideas for possible rewards at the end. Speakers at the school include Daniel Ramamoorthy, Christina Batlan, Dragos Anastasiu, Irina Anghel, Christian China-Birta, Claudia Suhov, How To Web co-founder Bogdan Iordache, Monica Obogeanu, and TechHub Bucharest co-founder and CEO Daniel Dragomir. Participants in the program will begin the program by coming up with viable business ideas, will then develop a market strategy and identify finance opportunities, develop a business plan, and then plan. The last day of the program will be a demo day where they will pitch to investors and receive feedback on their ideas. According to organizers of the event, each day of the program is dedicated to a different aspect of developing a business. Akcees launched in late February 2012 and offers a number of courses and programs for aspiring Romanian entrepreneurs in addition to Start Me Up, including an Idea Exchange, Workshop Sessions, Career Leader, and the Entrepreneurship Trainee internship program. 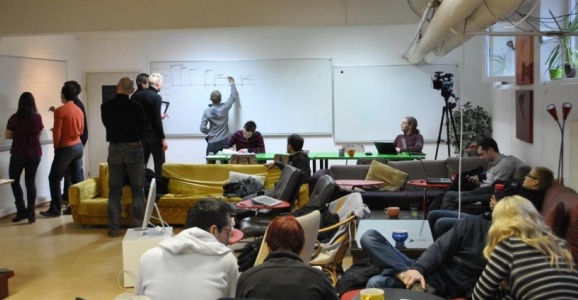 This event is supported in part by TechHub Bucharest, about which we wrote just a few weeks ago. Those unable or unwilling to pay the fee for the week-long entrepreneurship school can also attend one of the free Start Me Up events coming to cities around Romania. The full schedule of events can be found here, but basically there will be a series of one-day events over the next 2 weeks in major cities around the country. The first event is on June 20th at the aforementioned TechHub Bucharest and the tour continues from there. Although these events are free, the spots are limited and interested people would wise to go ahead and grab one.